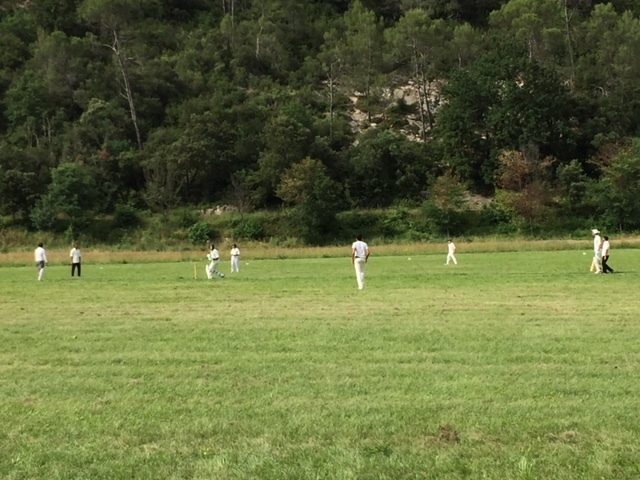 In another week of regular downpours the Marie had done well to top the cricket field but there was still a healthy looking sward to impede any ball struck in a text book fashion, it was always going to be a low scoring match, scheduled at 35 overs. 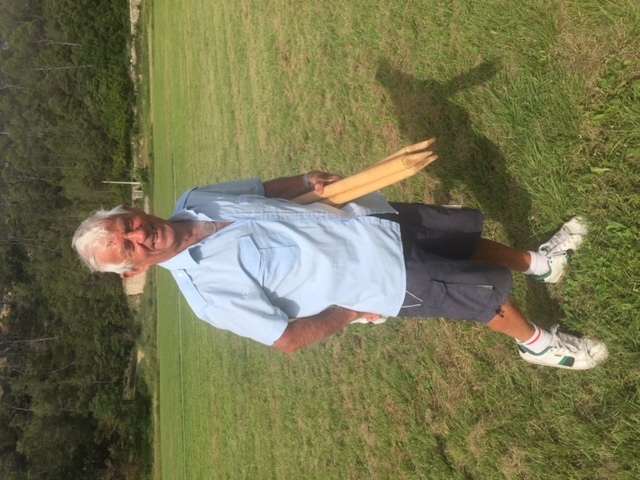 Midi won the toss and chose to bat and in customary fashion Gregory (7-0-33-0) opened from the Garden House end but in spraying a couple down the leg side, smartly dispatched to the long leg boundary by the left handed Sher (10), he found himself replaced by Slack (5-0-26-1) after 4 overs. Sahan Hewa (5-3-4-1) from the Football Ground end produced a 5 over spell which was pure brilliance, he delivered 5 overs which cost just 4 runs, claiming a wicket and 3 maidens in the process. 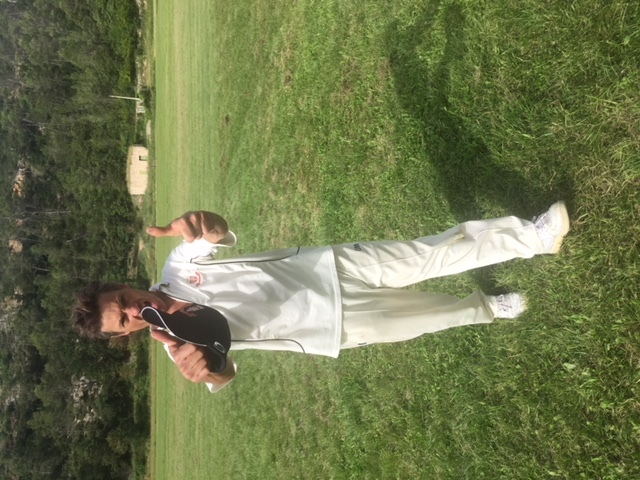 It is the kind of performance any captain would ask for and the resulting pressure, plus some smart thinking by the captain, to exert maximum pressure on the batsmen, yielded a wicket for Slack who bowled Parry (0) who was forced to try to hit a ball off the square. This had brought Harshesh (49) together with opening bat Shakeel(58) and together they compiled a patient, careful and fortunate partnership of 100 runs. Fortunate because Harshesh was dropped having made 2 runs, and a further 2 times, and Shakeel was dropped once. They rode their luck until Edwards (7-0-32-3) entered the fray and although the batsmen scored runs from the bowling they were also offering chances, finally one stuck in the hands of Gregory on the deep mid wicket boundary and Shakeel had to leave the scene. 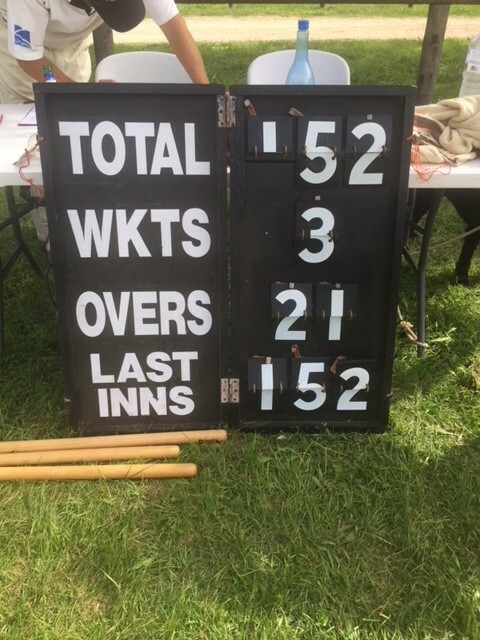 The batsmen had however crossed and so Harshesh faced the next ball, of quicker pace, which squeezed under the bat and onto the stumps. Enter Banulski (0) for the hatrick ball and bingo, he missed it, playing back, in front of his stumps, and Midi’s umpire had to raise the accursed digit to the ecstatic appeal from all around Entrecasteaux; what a fantastic effort and a match changing moment in 3 balls, the body of Midi’s batting torn assunder, leaving them at 137 for 5. Edwards couldn’t keep out of the action as, off the bowling of Yannick Perera (3-0-11-3) he accepted two simple offers presented at mid off, batsmen Naeem (2) and Morgan (6) departed. 147-7. 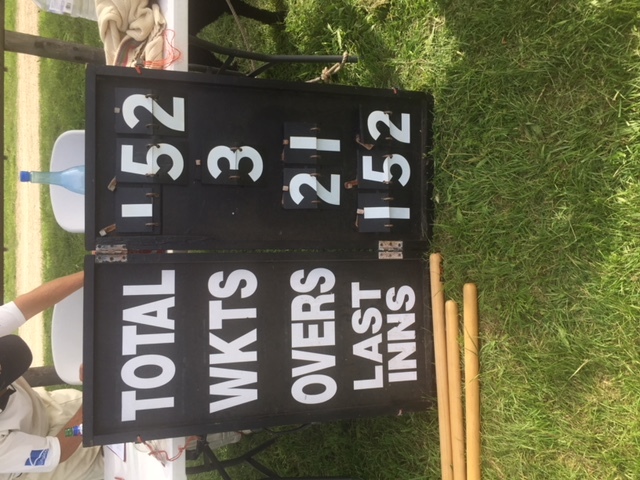 Linhart (1-0-4-1) had Rogers (6) smartly taken by a galloping Gregory at mid wicket, and the last wicket Joris (0), as they were playing with a ten man team, was first parried and then caught by Fife at square leg off the bowling of Yannick Perera. Wasim (2 not out) carried his bat and Midi had scored 152 all out, the last wicket falling in the 35th over. 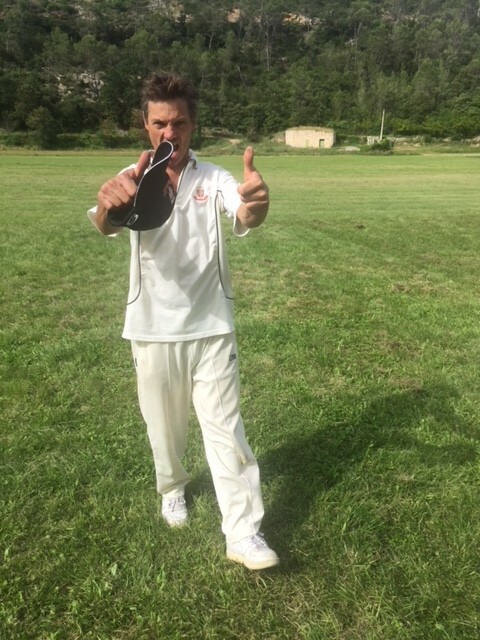 A ridiculous total on reflection, had the catches gone to hand, had the strike force been at full power, had balls carried, it is not unfair to say Entrecasteaux gave themselves a task at least 50 runs more than it should have been. Furthermore if you take Hewa’s opening magic and Edwards’ heroic hatrick out of the equation there will be a very different result. 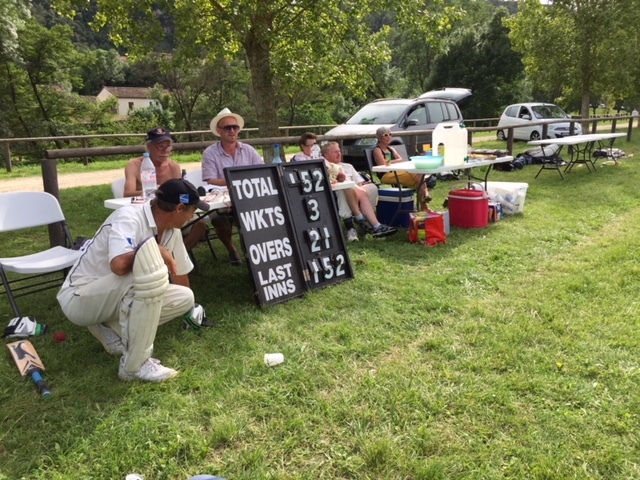 Edwards (26) and Slack (52) opened with a 60 run partnership. Chaminda Perera (48 not out) picked up the baton after Edwards gave a relatively simple chance to square leg. Edwards didn’t seem to have his usual efficacy and had already offered 2 chances to deep extra cover, both of which had arrived at ankle height, having never been above knee height, so they weren’t easy but perhaps in the day’s of one’s pomp one would have been a grateful recipient. Slack was strong and forceful, both on the off and on sides, and he reached the boundary 9 times, including 1 six in his fine innings of 52. Hewa (0) had a cameo role enabling Fife (14 not out) to join his captain and see the total surpassed in the 22nd over. Chaminda had masterminded this fine 7 wicket victory for the home side, both with his aggressive and positive captaincy in the field and with his bat, and some stella individual performances with the bat and ball by individuals within the team, and no one should bemoan a 7 wicket victory, but I wonder whether it shouldn’t have been a 10 wicket victory. 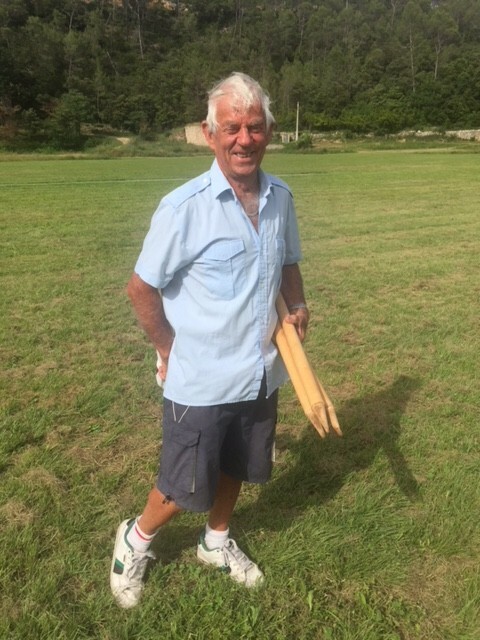 Thanks to Maurice Mitchem for umpiring, and thanks to Yvonne Slack and Ann Mitchem for making and organising a delicious lunch.